A plain Soviet-era office block squats on a residential street in the beautiful historic city of Lviv, Ukraine. The lobby is dimly lit and there is no seating, only a stern guard who points to the elevator to access local software engineering firm N-iX. The doors part and the offices are an orange and white oasis, with lofty ceilings and light and young people working at clusters of desks. This is Ukraine, a country of stark contrasts. Old Ukraine is stuck with antiquated businesses, methods, and corrupted leaders. New Ukraine is sunny, prosperous, and talented despite war in the east and scandals galore. N-iX, for instance, employs 200 talented and world-class software developers who are working on projects around the world in offices in Lviv, Stockholm, and Sofia. I met its CEO and founder, Andrew Pavliv, in Silicon Valley two years ago and visited his operation in 2015. "We are very proud of our company and our projects," he said. And he should be. 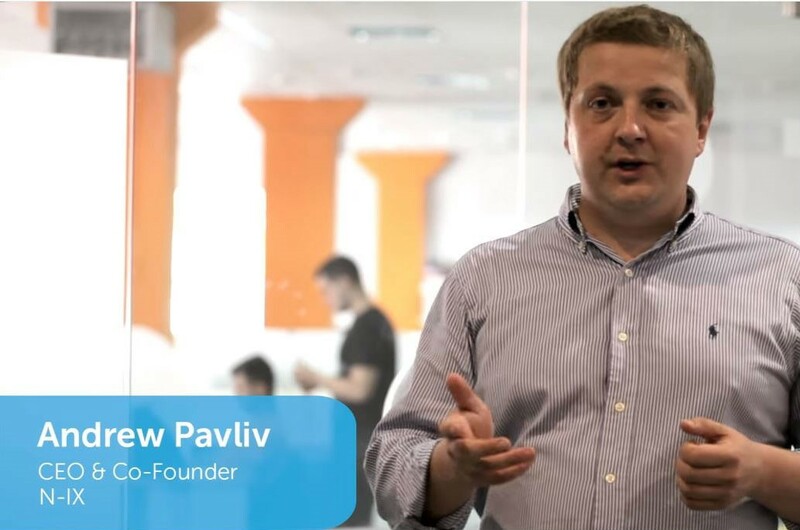 He and the rest of the IT sector in Ukraine have become Europe's largest software development industry. There are 100,000 Microsoft certified software professionals in the country and aggressive plans to double this number by 2020. N-iX is rooted in Lviv but its market is global. Its cool offices could be in San Francisco or New York City and its workforce is just as brilliant. Walls are decorated with irreverent cartoon figures, funny quotations, and many flags representing their multinational clients. There is also a large attractive kitchen and eating area, a gym, and recreation area with foosball and other games to provide a gathering place and break from intensive projects in multiple time zones. During a tour of the premises, N-iX spokesman Halyna Dumych said that "Ukraine is now fourth in the world in the number of IT professionals after the United States, India, and Russia." Sanctions have cost Russia IT business and many have opted for Ukraine instead. In other words, Ukraine is winning the IT "war." Three recent and significant deals have turned the tech world's attention toward Ukraine. In September, Snapchat paid $150 million to buy a two-year-old Ukrainian startup in Odesa called Looksery. The previous record was $45 million paid by a Google mobile division for Viewdle. In November, financier George Soros made a big bet when his Ukrainian Redevelopment Fund acquired a stake in Ciklum Holding Limited in Kyiv, a successful IT firm with 2,500 professionals. "It is a very dynamic company in an industry that represents the future of Ukraine," said Soros. Analysts estimate that there are more than 2,000 startups in the country's major cities. And some have already made their mark. Ukrainians are behind global success stories such as Grammarly, an online writing enhancement software, and Paymentwall, an online platform dedicated to selling digital goods and services. Both those companies, like 100 other multinationals, have huge research and development operations in Ukraine such as Siemens, Samsung, Oracle, Cisco, SoftServe, Procter & Gamble, and Bioclinica. Ukraine's IT sector is proactive and is determined to transform the country from the world's bread basket to the world's "brain basket," says Yevgen Sysoyev, managing partner of AVentures Capital in Kyiv. In February, he published "IT Ukraine" that listed the sector's growing achievements and impressive client base. To reach its goal of 100,000 more IT professionals with proficiency in English by 2020, the sector is signing on universities, local governments, and companies. For instance, the Lviv IT Cluster, an organization run by Stepan Veselovskyi, has linked three universities, the city council, and thirty-four companies to build incubator facilities, host a large conference annually, and develop IT House, the first of several seventy-two-unit condo buildings on low-cost city land to help IT professionals relocate from war-torn areas or smaller centers. The first building sold out immediately last year. There is a distinctive Ukraine advantage: A pool of talent well-versed in math and sciences, a desire to get ahead, and a competitive advantage for export of services because salaries are 40 percent to 50 percent lower than in the West. To boot, these companies are paid in foreign currency. Young people are flocking to the industry because an IT software developer is the "highest paid job in Ukraine," said Dumych. For instance, she said a railway engineer in Britain makes 1.5 times more than an IT software developer there, but in Ukraine a software developer makes 15 to 20 times more than a railway engineer. Kyiv and Lviv are the main centers of activity but a robust tech sector exists in most of the country's cities. But Lviv is growing quickly because of its location, furthest from the violence in the east, as well as just three hours flight from Vienna or Warsaw. "The headlines look bad, but this is an exciting time for entrepreneurs," said Lenna Koszarny, CEO of private equity firm Horizon Capital in Kyiv with hundreds of millions invested in the country in many sectors. "We are bullish about Ukraine."